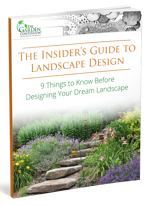 9 Things to Know Before Designing Your Dream Landscape. Every homeowner has given some thought to their landscape and what they think works best for their property. 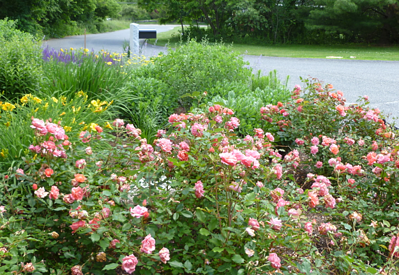 Some people, with the resources and interest, may invest a significant amount of time, effort, and money into developing their landscape with gardens and recreational areas with the help of garden and landscape magazines, ideas from home improvement TV shows and websites, even advice from “big box” home improvement store employees. Many of these homeowners may have ideas about their landscape development possibilities, but they don’t know how to achieve what they think they want. Often the result is unfocused or they make unnecessary purchases based on what they’ve seen and what they think might help them accomplish their goals. For example, a homeowner might think “I’d love to get outside more – hey, a fire pit is a great way to spend more time outdoors with family and friends!” What they might not have considered is how well a fire pit would fit into their landscape or even their lifestyle. Their choice might not be the right “tool” to help them successfully achieve their goal – a “thing” is not always the solution. This eBook will explore landscape design/build dynamics and help homeowners understand the underlying factors to attractive, functional – and ultimately successful – landscape design, customized to uniquely fit their property, lifestyle, goals, and budget. 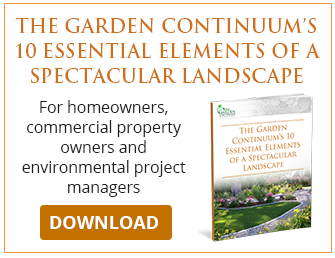 This educational eBook provides valuable insights for anyone who is planning a new landscaping project. Let’s face it; everyone likes to look at beautiful pictures of gorgeously landscaped property and dream of having all that for themselves. The Internet and cable TV help feed these fantasies with lots of pictures and stories on Pinterest, Houzz, HGTV and more, showing how average people just like us achieve wonderful results with some “simple” do-it-yourself (DIY) projects, often done with products and advice from places such as Home Depot and Lowe’s. It’s one thing to have an idea of what you’d like your project to be – it’s quite another to understand what’s actually involved. Without a clear concept of each landscape feature and element, how they interact and flow together, or what is needed or has to happen to make these ideas a reality, chances are good that the project will not meet your expectations and ultimately fail. Once a project’s conceived, it’s important to outline the steps and elements needed to complete it. What trips people up, as we saw with our previous fire pit example, is that homeowners equate products with solutions – “if I buy this, it will achieve that.” What they don’t understand is that there are several underlying factors affecting how successful their perceived solution will be and what’s required to implement it. Take a paver patio, for example. A homeowner might decide he or she wants to build a beautiful patio so they can entertain more outside. They calculate the size of the patio and price the amount of pavers they think they need and determine they have the money to do that. All set, right? Well, not so fast. What they’ve failed to take into account are the three distinct layers, or stages, of landscape development necessary to successfully implement their project – Infrastructure, Structure, and Enhancements. In this case, it’s excavating their patio space to accommodate the critical base layer (Infrastructure) so the pavers (Structure) can be correctly installed to last. To complete the patio environment they may need furniture, lighting, or other accents (Enhancements) to make it functional, including surrounding plantings to make it look finished and tie it into the rest of the property. As our patio example demonstrated, it’s easy to see how budgeting and spending can quickly become an issue. In this case, the homeowner thought purchasing pavers represented the total cost of the project, not realizing that there is much more needed for proper installation, such as base materials, edge restraints, joint sand, pavers and the saw to cut them to fit, compactor needed throughout the project for proper setting of the base and the pavers, screed bars for the sand layer, and a way to dispose of all waste materials. Any shortcomings along the way, such as not clearly defining the project scope and failure to plan properly, almost inevitably result in poor financial control and cost overruns. Not having a well defined scope can lead to “project creep” – the slow expansion of the project and additional materials or labor that can make costs uncomfortably high. Poor planning can cause missteps and mistakes that need to be fixed – fixes that will cost money. At this point, the homeowner is caught in the vicious cycle of paying more and more as parts of their project have to be redone or when missing elements have to be added back in and they’re still not getting what they want. They equate spending more money with fixing the problem when in reality the original solution was poorly conceived and executed. This kind of ill-fated project simply bleeds cash over time as poor decisions made early on snowball into an ongoing series of repairs and added maintenance. Even the best plans can be undone by poor implementation. The sad truth is, many DIY installations eventually fail -- not because the owners don’t want to do a good job, but simply because they lack the skills, techniques, experience,tools, and time to do the job right. Whether you plan on being a DIYer or hiring a landscaping professional, proper planning and implementation cannot be emphasized enough. Anyone can make mistakes, including professionals. You may be excited about a landscaping project, but that doesn’t mean you have to get it done this weekend. Take a deep breath and assess what it is that you’re trying to do and the correct way to do it. Remember our fire pit example? Don’t make the mistake of building one or having one installed by a contractor without proper planning, only to have it violate code, requiring it to be ripped out and reinstalled correctly. Slowing down enables you to better understand your property and consider how you want to interact with this desired feature. Where is the sun at what times of day? What areas have better views than others? Where do you feel most comfortable and relaxed? If you’re creating an area for relaxation, consider dragging some chairs around to various spots and spending a little time sitting there to get a feel for it. You’ll be amazed at how informative that simple exercise can be. It’s a good way to determine if it’s worth investing your hard earned money and precious time in developing a landscape feature in a particular location. When considering a project, ask yourself “what would I like to do?” as well as “what am I able to do?” Many landscape projects require some amount of hard, physical labor, such as excavating, lifting heavy building materials, and some construction work. Are you physically able to undertake your project and do you have the necessary skills and the time? What other resources are available for getting different aspects of your project completed? One option is to partner with a professional who can provide valuable expertise and do some of the heavy lifting to help make the project easier, more enjoyable, and faster. A landscape project is no place for guesswork. If you’re not quite sure what plants will work best in your location, or how to properly construct a retaining wall, there are lots of low-cost or no-cost resources such as magazines, videos, websites, and TV programs that can provide some basic information to help you with your project. However, it’s important to be aware that no amount of reading and watching can take the place of proper training and experience. Once again, partnering with a professional can add crucial expertise and advice to your project. You may be able to pick up some great ideas from magazine and programs, but a landscape professional with expertise specific to your project can help you assess whether your ideas are well suited to your location, property, and budget. As we discussed earlier, the cost of materials is not the actual cost of the entire project. Be sure to include everything the project entails, such as obtaining plans, site preparation, materials, equipment, and tool purchase or rental costs, any outside help, and all enhancements such as lighting, irrigation, furniture, and appliances. If you’re doing it yourself, don’t forget that time is money. Doing it yourself means putting in a lot of “sweat equity” that takes time away from work, play, and family. Everyone has value – do you know yours? Here’s a good exercise: figure out how much you’re worth an hour. Now multiply that by how many hours it’ll take you to research, plan, and build your landscape feature – that will give you your direct sweat equity cost. Add that to the quality time lost to family and friends and that will give you your TOTAL sweat equity cost. How does that compare to hiring a professional? And how much faster can a professional complete your project? Building a landscape is more than just modifying a piece of property to make it pretty. It’s more than just a couple of guys with a truck, backhoes, and shovels. Thoughtful, intelligent landscape development involves understanding, designing, and creating landscape environments that reflect the lifestyles, preferences, and activities of their owners as well as harmonize with the buildings and land with which they share space. The traditional landscape industry, however, is commodity-oriented. It is based on the purchase, installation, and maintenance of products such as grass, trees, shrubs, flowers, bricks, stones, and fencing, to name just a few of the features found in a landscape. 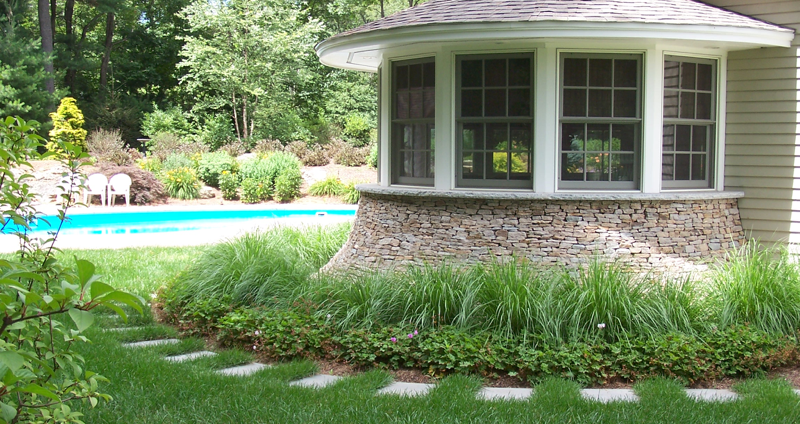 As a result, traditional landscapers see products as the solution. Need to create some privacy? Block the neighbor’s view with a hedge or a fence. Having trouble growing a lawn? Apply more fertilizer or insect and weed killers. Product-driven “solutions” like these may work for a while, but they’re not systems-driven and so may not be all that pleasing or effective in the long run, leaving the homeowner ultimately unsatisfied. A systems-driven landscape is focused on the whole environment and the flow between all features rather than the focusing simply on individual parts. Traditional landscape designers, on the other hand, concentrate on the space and its use as a way to set up the desired features in the space available. A good landscape designer will also spend a lot of time understanding clients, their lifestyles, activities, and preferences. The designer then analyzes all those elements and interprets them in a landscape design appropriate to the owner’s space, desires, and use over time. The downside to using a pure designer is their tendency to design in a vacuum, often with not much consideration to implementation cost. A landscape design that is a conceptually beautiful solution but is prohibitively expensive to implement is not the right solution. If you’re considering hiring a landscape contractor or a landscape designer, it’s important to be aware of what they do NOT do. A traditional landscaper will typically handle the construction work (installing a patio or walkway, planting a shrub bed, etc.) but may want you to supply the plans. Likewise, a traditional landscape designer might be happy to draw up plans to fit your wants and needs, but you’ll need to partner with a landscaping contractor to learn how much the project will cost and how to actually implement it. There are, of course, hybrid design/build landscape firms that provide both services; however, they may have just enough experience at both to be proficient at neither. Often the solutions they provide are cookie cutter options applied to several landscape problems and opportunities. They’re comfortable implementing these solutions which basically end up looking like everyone else’s landscape. The ideal solution is a systems-driven landscape design, developed and implemented by a skilled designer/contractor – a true landscape developer. Systems-driven design takes into account how people live – their preferences, desires, and activities – and matches that to the natural systems present in their property. These may be areas of vegetation, animal life, bodies of water, and existing topographical features. Appropriate and successful systems-driven design is an exercise in relational thinking that seamlessly integrates and balances human activity with natural and man-made features and systems to create an attractive, functional, and harmonious landscape. The key to finding the right landscape development firm is to ask about their discovery process – the way they learn about what you’d like your project to accomplish (e.g., provide a relaxation area with privacy, improve the view out your living room window), your personal preferences, and the features and functionality you’d like included. All these elements are simply “things” that, used incorrectly, are nothing more than objects placed in an outside space with no real connection to the dynamics of the land, structures, and the homeowners’ daily lives. Over time, all of the elements in landscape design evolve and change, along with the owners, and it’s important to take this into consideration at the very start of a project. 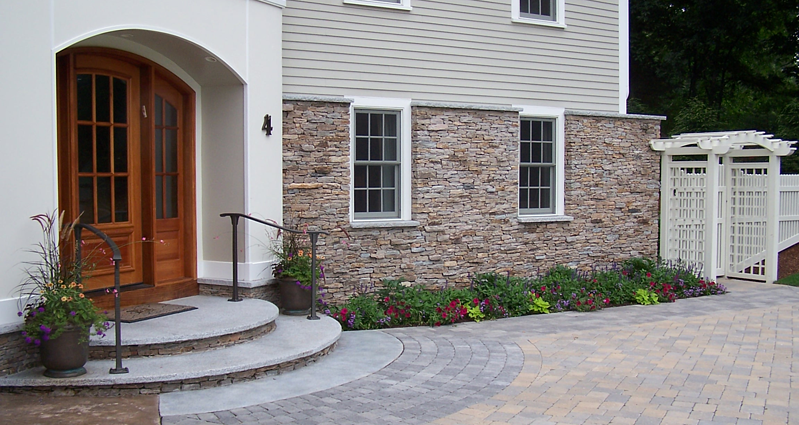 To ensure that a landscape project is designed and implemented well, the best landscape development firms will employ a process with several extra steps not normally included by more traditional landscape contractors. Assessment – A paid on-site assessment of current conditions and potentials as related to the client’s needs, wants, & wishes. This is where the designer determines the feasibility of the client’s desires based in the reality of the land they own – what will be easy and what may pose a challenge. Design Development Plan – The designer develops a project scope and an investment range, which will be the guide for the design process. Conceptual Design – The initial design submission will be the best representation of several ideas developed throughout the conceptual phase of the imagination process. Final Design – The final design will include all edits and alterations that evolve through the creative process of collaborative design. This will be what gets built.